Welcome Pack includes: uniform, badge book, necker / scarf etc. Fees may be collected weekly, monthly, each term or annually depending on local arrangements. This fee covers the cost of the hire or upkeep of the meeting place, programme costs and badges. Trips, camps and activities are usually charged separately. Young people wear core uniform of a coloured sweatshirt or shirt depending on the age range. They will also wear a special group scarf. Uniform can either be bought from Scout Shops Ltd or through our Group Uniform Secretary. You can ask the adult volunteers in your child’s Section for more information on where to buy. We don’t want young people to miss out through financial hardship. 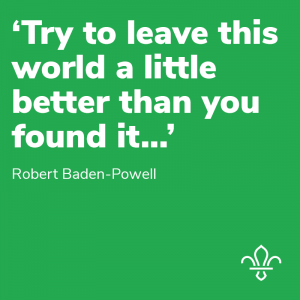 If concerns about finances may prevent your child taking part in Scouting or some activities, speak to your local leader, as some assistance may be available in confidence.